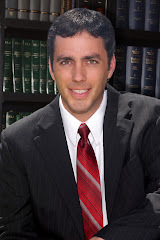 Greg Ryan & Associates, Attorneys at Law, LLLC: What Are Pre-Marital Agreements? Before getting married, many couples are now choosing to enter into premarital agreements. Premarital agreements, also known as pre-nuptial or ante-nuptial agreements, were once reserved for Hollywood stars or celebrities. However, over the last decade, it has become more and more common for a spouse to sign a premarital contract with his or her future spouse. Most people believe that premarital agreements are only meant to allow both parties to keep their own assets if the marriage fails. However, a premarital agreement can also provide children the right to receive the assets, or a large part of them, if both parents pass away. One of the main purposes of a premarital agreement is to work out all of the divorce details rather than leave these potential issues unresolved. The increasing number of premarital agreements can be seen as an indicator that couples acknowledge their marriage has a fifty percent chance of ending up in divorce and prefer to reach an agreement prior to marriage in order to prevent future disputes. A premarital agreement must contain a thorough written disclosure of both parties' assets and liabilities brought into the marriage. Additionally, the agreement must stipulate how earnings during the marriage will be shared in case of divorce. Eventually, the parties should be given enough time to thoroughly review the agreement; to allow time for review, couples are seeking more advice about premarital agreements and are discussing possible agreements well in advance of the wedding. If you decide to enter a premarital agreement with your future spouse, you should consult an attorney. In Hawaii, premarital agreements are enforceable only if they adhere to state law.